839k with all that promoting ad bringing people from different countries and stuff is very tragic imo. Tragic IMO lol. I expected a million with how many reality stars they have on this. Think that's pretty good isn't the numbers for the demo .43ish? .50 is good IMO. Also like PR said it was the most watched show besides NBA. 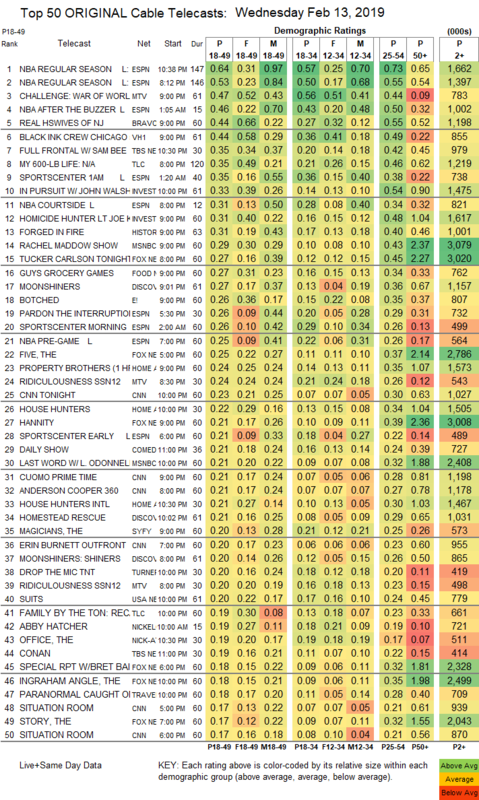 When MTV goes to advertisers they can now say our premiere was the #1 most watched non-sport cable show and that advertiser $$ is really all they care about. You gotta realize that a lot of these reality tv shows fans probably already watch the challenge just cause they have 629k followers doesn’t mean it’s 629k new ones that don’t already watch the show. Exactly hence it place higher than other shows that got "more viewers"
Excited that it had a strong premiere. I mean I see why the rating are like they were. I mean they promoted it late. I know a lot of people who watch that were unable to last night. Even the overall numbers are good for MTV. Wow. It did pretty good IMO. I actually forgot it was on despite the fact I heard a commercial for it on the radio on my drive home. Yes, I'm old and I listen to the radio (lol) but at least they tried. The ad was smart enough to mention CT since I'm assuming those listening to the radio are typically older. They only mention John, CT & Cara though. Some of y’all have unrealistic expectations and have zero idea how ratings work. You guys.... less people watch TV on cable nowadays. These are Nielson ratings (cable). They mean practically nothing. I feel like people have to say this every single season lol. But the challenge has a strong fam base at this point especially on the last 3 seasons before this one that it has been pretty consistent as far as ratings goes. The more dark green squares the better. They do mean something because if it gets under 500k and demo is really low then it would be cancelled lolBut the challenge has a strong fam base at this point especially on the last 3 seasons before this one that it has been pretty consistent as far as ratings goes. Yes but they take into account online viewers and such. 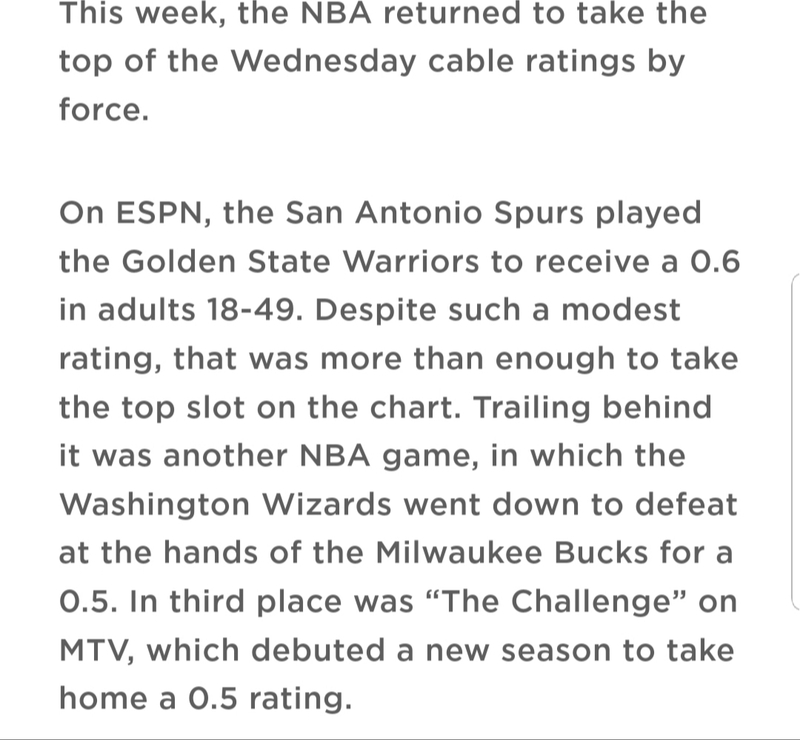 Everyone is acting like the Challenge has been tanking when in reality it's just that people don't watch on cable anymore. Having 2M+ viewers just isn't gonna happen on any MTV show anymore. If MTV actually wants new viewers they gotta stop bringing people from other countries and focus only on Big Brother and Survivor. Both of them are already competition shows. That's kinda crazy given that they used one of Shinedown's songs as a Theme for The Island. The ratings was what was expected though, I’m sure they were hoping for more but this is all they gonna get for now. It was a great premiere so I can definitely see it going up. It’s all about the demographic number that the advertisers love, the total rating matters to a certain extent. Number 3 on cable for back to back weeks. They literally could not ask for more. The only 2 things that beat it this week is 2 NBA games.